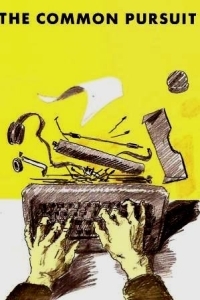 The Common Pursuit follows the lives of six characters who first meet in Stuart Thorne’s rooms as undergraduates at Cambridge, when he invites them to the first meeting of his new literary magazine called The Common Pursuit. The title is an allusion to F. R. Leavis’s 1952 collection of essays Scrutiny: The Common Pursuit. It then follows their lives and careers over the next twenty years. ‘I finished the play at six this morning, having worked through half the night. I’d also worked through three packages of cigarettes and half a bottle of malt whisky. But the main thing is that it’s finished. Ole. 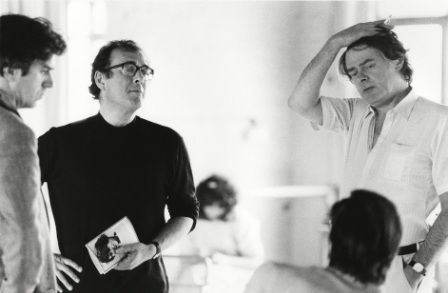 Simon Gray kept a diary during the rehearsals and performance of the original production of The Common Pursuit at the Lyric Hammersmith, directed by Harold Pinter. An Unnatural Pursuit is published by Faber & Faber. Simon also recorded the trials and tribulations of two productions of The Common Pursuit in Los Angeles and New York in his 1988 diary How’s That For Telling ’em, Fat Lady?, also published by Faber & Faber. Following this production, Simon Gray won the Hollywood Drama-logue Critics Award for Outstanding Achievement in Theatre and the LA Weekly Theatre Award for Outstanding Achievement in Playwriting. The Common Pursuit is now available as a Faber Contemporary Classic in Simon Gray: Plays 4. To order a copy on special offer at 25% discount please contact Faber using code GRAYPLAYS. Or check out the plays section of our bookshop.